Lifeline Energy air freighting emergency solar and wind-up radio-lights to survivors of Typhoon Haiyan. A network of radio stations is now up and running, but due to the lack of radios on the ground Filipinos are able to hear the information being broadcast. The emergency Bridge Radio includes an FM/AM radio, light, mobile phone charger and siren. The Bridge will not only give survivors access to critical information and help them see at night. An assessment of information needs by Internews showed an acute, urgent need for information and discovered the destruction endured by local media outlets. “This confusion only serves to further disempower, and further traumatize, already fragile communities. People rely on word of mouth and have no means to find additional, accurate information. Restoring the communication networks […] must be a humanitarian priority as people are literally left in the dark in most areas,” said Jacobo Quintanilla, Internews Director of Humanitarian Communication Programs. 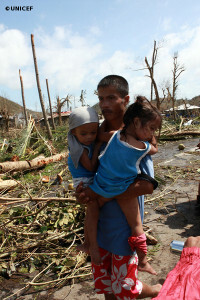 Super Typhoon Haiyan laid waste to most of the central Philippines, killing thousands and displacing up to two million people. 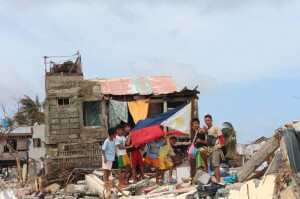 In addition to food, water and shelter, people need access to trusted information. With no electricity or way to communicate, displaced families are uncertain of their situation and where to seek the aid they need. Radios are also important for psychosocial support allowing people to hear familiar voices and keeping them up-to-date with government announcements, aid agency alerts and the weather. 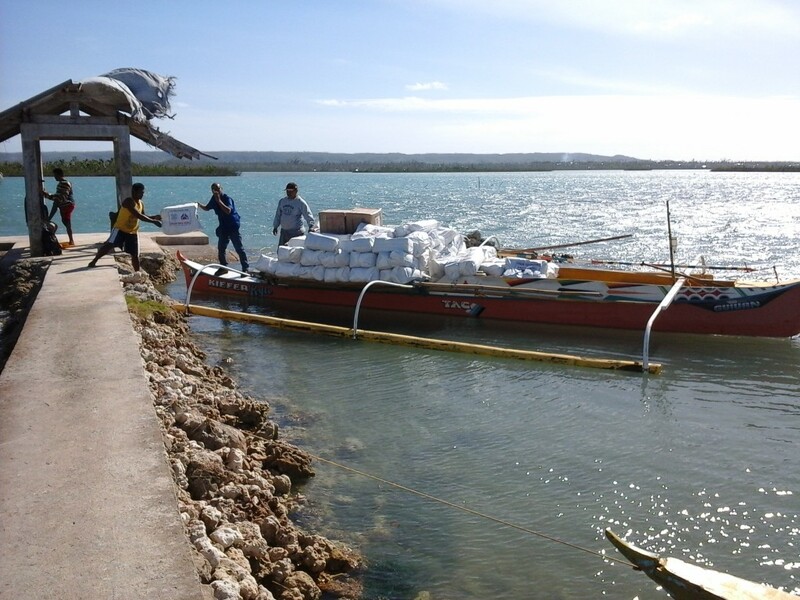 The first batch of radios were distributed in Guiuan, the district first hit by the typhoon. The International Organization for Migration (IOM) distributed the radios to those most in need.